Justin: Welcome to the Dental Marketing Guy Show, I’m Justin the dental marketing guy, and today we’re going over the top 5 myths when hiring a dental consultant. I have with me today, our guest of honor, Laci Phillips, from practice dynamics, and Laci began her road to coaching as a chair side assistant while going to college to pursue a dream of one day, having her own talk show. And you know, while working her way through the business side of dentistry, she was fortune enough to learn from some of the top industry professionals, and what practice dynamics, by Laci Phillips does, is, they specialize in coaching teams to reach their goals, through balance driven success using systems, teams, and technology. Laci, how’re you? Laci: I’m great Justin, thank you for having me. Justin: it’s a huge honor to have you, I’m sure your about to help us out with a huge amount of value. Ah, you’ve devised basically a template for this interview, about 5 myths; and I’m really excited to hear about this. What’s myth number one that dental practices can know when hiring a dental consultant? Laci: well I have no idea, what did I send to you? No, ask me the question, I’ll be happy to answer it for you. Justin: excellent, excellent. Myth number one – our team is fine and we think as a consultant, you will come in and fire people. Laci: absolutely, we get that a lot, and I think probably anybody who says the word consultant, or consulting, it’s kind of the teams view on it, and I understand that completely because, I was a team member, I worked in the dental practice for years and years and years, before I became a consultant and speaker, and we have consultants come in, and unfortunately ‘consultant’ is almost a four letter word in dentistry. And so, it’s not what we do, we’re not coming in looking to get rid of anybody, we really truly, we want to make you more effective, and more efficient with what you currently have. What we find is a lot of offices don’t have systems; they call it an office manual, an office policy, whatever, but it breaks down into a system. So, our goal when we walk in, when we talk to people, is not say ‘oh, you have way too many, let’s start getting rid of them’, our goal is ‘how do we make them more effective, how do we make them more efficient?’, so that they really truly enjoy their jobs. And you’re successful and productive right? Laci: I hear all the time, I just talked to a townie 2 weeks ago who said “I don’t want generic, I don’t want cookie cutter”, and again, I understand that completely. We’re not going to walk in with a 3 ring binder and hand it to you and say ‘here you go, follow this and you’ll be fine’, because fact of the matter, that’s not how real life works. It has to be, what is currently working for you? What are you currently doing, and is there anything we see, we hear, we know, that you could tweak a little bit and change everything. So, it’s not about, I mean obviously we all read books all the time; if you want to be more successful, if you want to be more educated, you’ve got to read the books, but that’s not what consulting or coaching should be about – and as a matter of fact, we don’t even have a 3 ring binder that we walk in with. Our concept is, first of all, we’re all into technology, everything we do is electronic, but hopefully by the end of our visits, whether you have 2 or 8 visits from us, the idea is then you have enough materials from us, you have enough tools in your toolbox – if you will, to then fill up your own 3 ring binder to then refer back to it. But we’re not going to give you one. Justin: excellent, okay. So, it’s kind of a comprehensive, holistic approach? Laci: absolutely, it’s building a treatment plan. Laci: it’s building a treatment plan. Laci: right, I mean we hope not, right, you hope that you don’t turn around and see him or her leafing through a 3 ring binder on how to figure out how to do your dentistry. It’s the exact same thing with running a business, I mean, what you really need are tools, you need enhancements, you need things that just make you that much better. Laci: one of the things I love, I have a dentist, a young dentist in Arizona tell me “you know, me CPA gives me reports and I have a call with him, and he tells me I’m doing really good”, and I said “that’s amazing, so what is it that you’re doing that is so good” and she sat there for a minute and she goes “you know, honestly, I don’t have any idea”, and she goes ” I guess that’s part of the problem, I don’t know what I’m doing that’s working so well, so that if it ever stops, I don’t know how to get it going again, or why did it stop”. So, I think it’s, we all want success, and we want success for you, but if you don’t know why you’re successful, that’s a problem, that’s a problem, because it won’t always be that way. So find out why you’re successful, what’s working well? And then let’s make sure you’re not ever unsuccessful. Laci: right, and they have no idea, ‘how did that happen? We were just ranked number one!’ well again, if you don’t know why you’re successful, you’re not going to know why you’re not successful. Justin: exactly. That’s a good point, that’s a good point. Laci: it’s like retention, it’s like we teach doctors in retention, right? Everybody talks about new patients, everybody talks about new patients, ‘we’ve got to get new patients in the door, I love my new patients” that’s all great, but are they coming back again, are they entering the door the second time. I would think it’s the same way with your marketing; one click is awesome, but how many clicks do you get? Justin: right, you know I was just talking about that last night. I was talking to Vlad, and he’s on Dental Town, and he was saying, you know ‘every bodies always talking about new patients’, he was sharing with me about a dentist in Texas who got over 200 new patients that month, but he had lost 225. Laci: well then that’s not; you’re not evening yourself out here. Thank goodness you have new people walking in the door because guess what? They’re not coming back again. Justin: right, and so, you know, naturally I told them, “Well I talked to a dentist yesterday whose got 347 new patients” no, I’m just kidding. Justin: yeah, and but, in all seriousness, you know, it’s like ‘hey uhm, I don’t know out of those 347, I have no idea, I don’t even know if the dentist does, about how many, how much attrition – there was, so that, that’s a big deal though. Laci: let me give you an example, Justin, so here’s one of the things we do, every month we log into our clients software system, and we grab numbers that we feel are key performance indicators, we have our very own spreadsheet or worksheet that we drop those numbers into, and we track that from month to month. One of the things we look at is a comprehensive oral eval – D0150, right? That’s the, everybody says that’s a new patient. I think there are 2 types of new patient’s right. so the first one is somebody who came in and received a comprehensive oral eval, I want to know how many of those you did, let’s just say, from march 1st to march 31st, the next thing I want to do is, I want to run a report that tells me, out of all those patients that had a comprehensive oral eval, how many of them are scheduled to come back for doctor, for restorative, or with hygiene for re-care. How many people actually track that? And the second new patient option is an emergency patient. So I count how many emergency patients or D0140 did come in from march 1st to march 31st, so how many of those did we have, and then lets track how many of those are coming back for their comprehensive oral eval, or for hygiene for re-care. That’s – those are numbers that you should be tracking. Justin: yeah, and I don’t think I know any dentist who know those answers off the top their head. Laci: I would be willing to bet your right. Justin: you know, okay, so number four, that’s really good stuff, that’s really good stuff. So, ‘I been making money each year, we don’t need help with that’. How about number 4; ‘my team does not think help from an outside source will work in your office, especially when you only come meet us once or twice’ what do you say to that? Laci: right. Well, I completely understand, I was that team member, I was there, we had several great consultants come in, and they came in once, that’s all. And I’ve seen it myself, I’ve gone into offices and we were trying to you know, we were trying to bond, we’re trying to make it happen, and then as soon as we leave the team says “that’ll never work in our office”. So, team buy in is, a key to success, if your team has not bought into this, you will not be successful with anything that your attempting to do. Uhm, I do have a business partner, love her, she’s my soul sister, uh Bonnie Pugh over in Baltimore, Maryland, we own a company. And we were both team members, so I understand where they’re coming from, and a big part of what we do is try to bond with the team to say ‘look, number one, we didn’t come in here to fire you, number two, I’m not going to come in here and tell you everything that you need to do, or everything that you need to say, I’m going to listen to what you are saying now, I’m going to look at your systems, what are you doing now, and if I have any keys, any tools that I can offer you, to help you become more successful, will you work with me on that?’. So, you’ve got to have that ‘I’m not coming in to change everything that you’re doing, I’m coming in to see if there’s anything I can tweak for you’. I really think of myself as a coach. I don’t like the word ‘consultant’, I think for whatever reason we have a negative connotation in this industry; I really think of myself as a coach, I’m here to enhance your performance. Justin: there was one of those cartoon newspaper ad’s one time, not an ad but the funnies in the newspaper, and it shows 2 detectives standing over a dead body and you may have heard this, the one police officer says to the other one ‘ based on the stab wounds, the multiple stab wounds I would have to say that this person was a consultant’. Laci: that’s awesome, that’s really good, Justin. That’s really true. Yeah I think everybody has felt that way some time or another. Justin: yeah, you know. So what do you say like if the front office is like, does anyone ever say to you like ‘hey, psst, listen uh, listen, what do you think about this, the doctor has this problem, this problem, this problem, we can’t tell him, and I can’t handle any more work, but you really need to help him’, how do you handle that kind of situation, or I guess more specifically, if I was to get, the better question is; what do you do to incentivize the team to take action? Laci: ohm good question. What do we do to incentivize? Every doctor I’ve known or talked to wants a team with ownership mentality, and that’s tough. That is really tough and it seems that no matter what a doctor calls us for, or what the office manager calls us for, or if a team, if I see a team when I’m speaking, whether they say ‘our insurance is messed up, this is messed up’ it all comes back to the team and the doctor, it really truly doe, so how do we incentivize them; first and for most, uh, I mean this sounds a little cheesy but its true, I’m passionate about what we do, I am passionate about waking up every single morning and wanting to be passionate all day long, and that’s, I want everybody else around me to feel like that as well. If you wake up every single morning and you’re like ‘I hate my job, I hate people, I hate patients, I can’t do this anymore’, I’m not going to be able to get to you. There’s nothing I can do to make you feel better or to get you to buy in. If you have that inkling of ‘I wanna be successful, I wanna be great at what I do, I’m gonna go in here, I want to change lives’, because in dentistry, we have that opportunity, we get to literally change people’s lives, if you have that little spark in there, we can work together, because let’s build on that lets build that spark, I want you to have that spark all day long. If you wake up grumpy and you’re not going to like anybody who comes through the door, much less me, I can’t do anything with that. It’s always, always, hire for attitude, and train for skill. I don’t, that’s a very uh, fluffy answer to a very serious question, but the fact of the matter is, I don’t know that there is one right answer for that. And I’ll tell you, we walk into an office and we have the women, or the team members who are immediately like ‘I’m not the problem, the doctor is’, well guess what, your part of the problem to and the hardest part is when the doctor hired us and the doctor is the problem. That’s a tough conversation. Justin: sure, sure, yeah, you’ve got to kind of bit the hand that feeds you. Laci: a little bit, but you bite it gently. Laci: yeah, I mean I see it all the time, I see it. Somebody may, there are consultants out there who do, you know, 12 months and this is the lump fee and you pay it now and this is what you get, some consultants do just workshop. Quite frankly, we’re not into contracts, I mean we have a monthly agreement, but everything we do is one a month to month basis, whether we all agree you need 3 months, 6 months, 18 months, but it’s all on a month to month, all billing is on a month to month. So, don’t always think, if you’re out there thinking that ‘I need help’, whether its practice dynamics, or another company, don’t feel like you have to be locked into a contract, don’t feel like you have to pay large fee upfront, and really interview multiple companies, you know it never ever hurts my feelings when I talk to a doctor or a team member and they say “Laci, we’re talking to several consulting companies”, I’m like “good for you, you should!”, we’re not the perfect fit for every single dental office that’s out there, that being said, not every dental office is a good fit for us. So interview them, ask them how things work, don’t feel like you have to do it this one way. Justin: for those dentists watching, can you kind of line up, somewhat scenically, what is the kind of dental office that you work with, or maybe what kind of dental office would you not work with? Laci: we’ll just stay positive; I’ll talk to you about who we love working with. We love working with people who get it, or people who want to get it. We love working with a dentist who says “I want to grow”, but maybe growth is not necessarily money, maybe growth is not new patients, maybe growth is leadership, maybe growth is being an amazing entrepreneur, you know. I mean there so many different ways, it’s the buy in from the doctor and then the team saying ” yeah, we totally get that vision, we get the mission statement, we’re on board, we all want to move forward in the same direction, or can you help us get on board”, so somebody who wants the help, somebody who has that open mind, whose wants to do better for themselves, who wants to, again, change lives. And the thing is, Bonnie and I said, when we started this company, the one thing we said to each other is ‘as long as we can affect change, we’re going to keep doing what we’re doing, and we’ll keep working with clients’. When we get to a point with a client that says ‘okay, we’ve done as much as we can do, and we can no longer affect change’, we’re done, we’re out. I’m not going to sit here and bang my head against the wall, nor do I want you to. Justin: excellent, that’s great; you know that’s really good. I think staying positive is huge, huge thing in doing what you do, so obviously you’ve displayed that here. Where can the viewers find you? Laci: uh, just about anywhere. No, you can, the first thing of course is our website, it’s ‘practicedynamics.net’, we of course have Facebook, ‘PracticeDynamicsGroup’, we’re on twitter, we’re blogging, we’re doing the whole social media thing, I’ll give you our ‘1800’ number, which is ‘888 425 3235’, and yeah, just google us, search for us, go to the website, we’re happy to just even have phone calls, return emails. Justin: excellent. Well you heard it first on the dental marketing guy show, Laci, thank you very much, it’s been a huge honor to interview you, you’ve got a great reputation, you came highly regarded by a big in the dental industry, who referred you to this show, and yeah, I appreciate you coming on. Laci: thank you, Justin, I appreciate it so much and hopefully we’ll talk again. Justin: excellent, alright. Thank you for watching the dental marketing guy show, you know where to find Laci, if you want to leave comments below in the YouTube comments, on dental town, wherever you see this episode, on social media, just feel free to hit us up with questions. 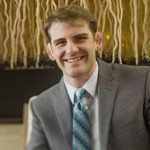 I’m Justin, the dental marketing guy, from DentalMarketingGuy.com, thanks for joining us.